Our personal hygiene is very important because it boosts our self esteem and self confidence everytime we move. Of course, we hate it when our underarms get wet of sweat especially that it's summer and we're in a humid country. 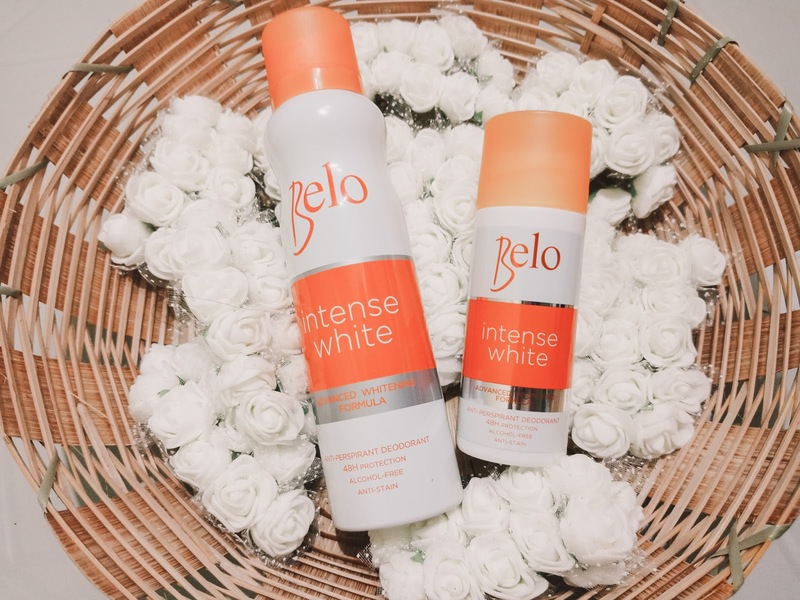 It is nice to have these kind of brands that offers freshness during the summer season as it literally helps a lot. As summer is really hot, it is advisable to wear any kind of sleeveless shirts and flaunt oir skin. 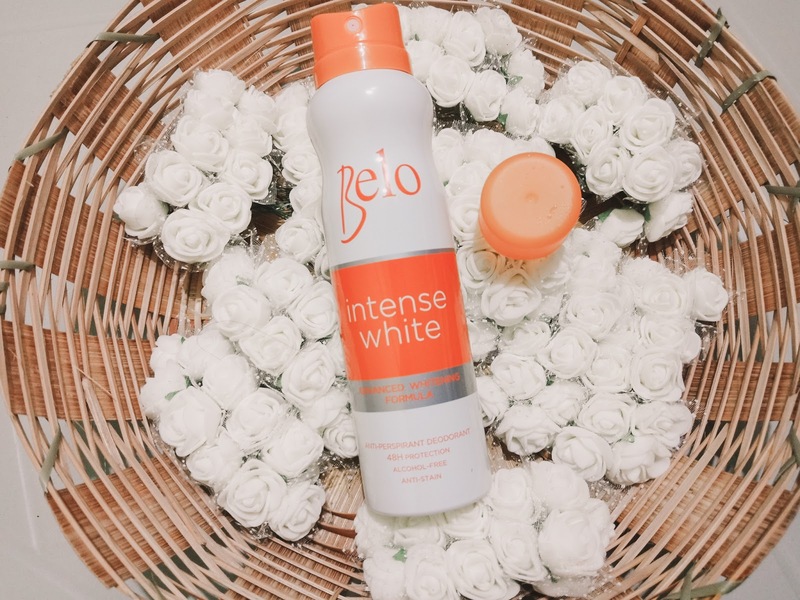 Which is why Belo came up with their latest prouct - the Belo Intense White Anti-Perspirant Deo. I'm not a fan of roll-ons. I prefer using deo sticks because of the dry feel in the underarms and because it doesn't make my underarms wet. Roll-ons are otherwise. I only tried using roll on when I was in high school and I tried a certain brand but it doesn't control sweat and body odor. It also made my underarm sticky. 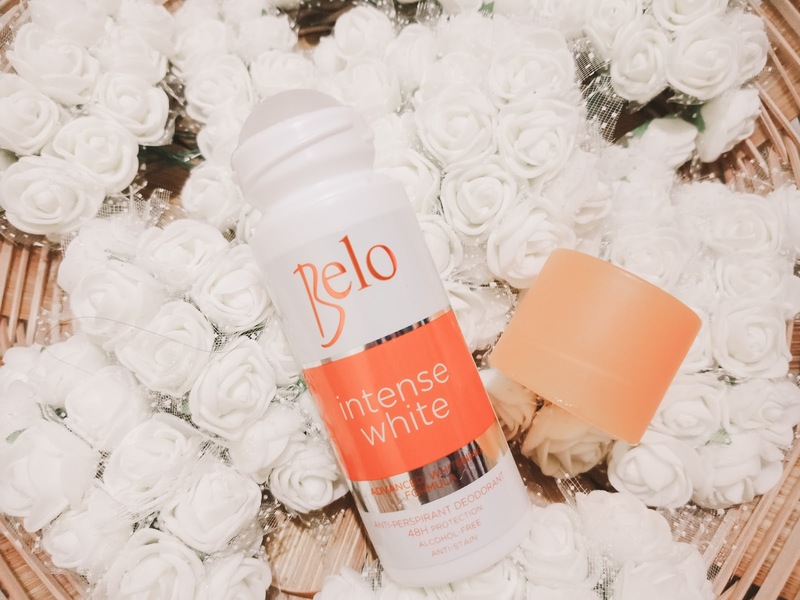 I have used the Belo Intense White Anti-Perspirant Deo Roll-On for a few times since I got my samples from Sample Room and to be honest I am impressed that it didn't make my underarm sticky. It dried quickly and didn't cause body odor. It also has a mild powder scent that I like. 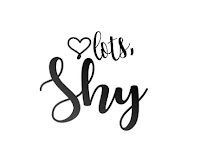 It is my first time trying an aerosol spray for a deo and I was expecting it to work just like the deo sticks I have tried. I have the impression that it will not last long and it will make my underarms sweat in a few hours. I was surprised that it keeped my underarms dry all day. It has a cold feeling when sprayed but dries like the roll on. It also didn't leave white stains on my shirt. I'm giving these deo a chance to prove its smoothening and lightening factors. 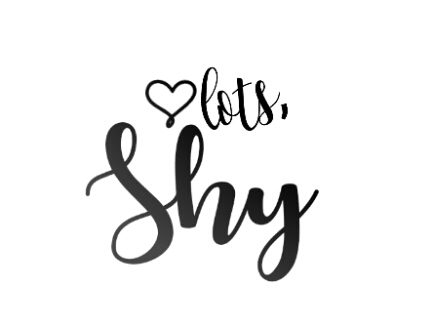 Will update the blog in a month to see. I wanna see its lightening effect on you.. after a month! Good luck!